Kamal's latest movie Celluloid has become a hot topic in the state. It has bagged seven state awards and a handful of controversies too. Celluloid is the story of Dr. J. C Daniel, the father of Malayalam Cinema and Rosy,Malayalam film industry's first ever heroine. J. C Daniel made the first Malayalam movie, Vigathakumaran. Cinema was his life. And he lost both. The social setup which was prevalent in Kerala had crucified the lives of few innocent people who had tried to surpass the inhuman boundaries of caste and creed for cinema. Kamal's Celluloid is based on the novel Nashta Naayika by Vinu Abraham (which is about the story of Rosy) and the biography of J. C Daniel by Chelangatt Gopalakrishnan. 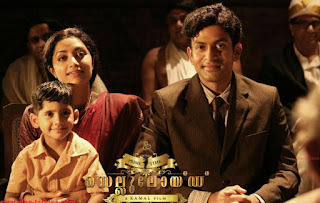 Prithviraj shines in the roles of J.C Daniel and Haris Daniel. But in some moments we will see Mr. Prithviraj himself on the screen. But it doesn't affect the pace and emotion of the movie. Mamtha, Chandni, Sreenivasan, Sreejith Ravi etc. have done their best. Venu serves a beautiful visual feast. M. Jayachandran's music demands special mention. It takes the audience back to the exact period. Lyrics, music and vocals blend beautifully. When comes to the box office verdict, Celluloid is a must watch. 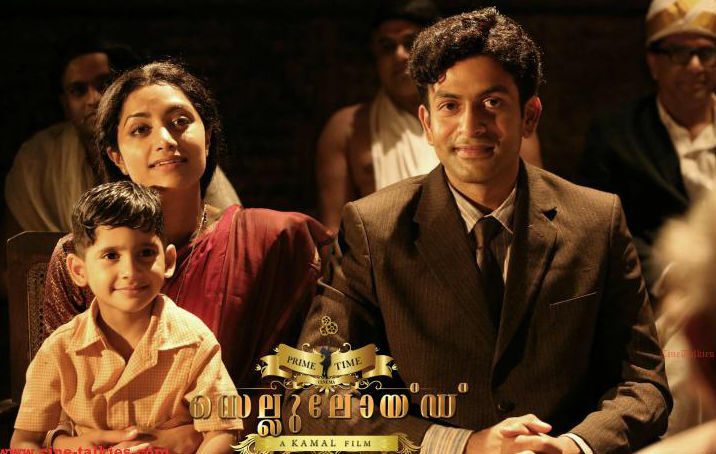 If you are ready to ignore few factual errors, script problems and directorial faults, Celluloid is a true tribute to the father of Malayalam Cinema. And it marks the powerful return of Kamal as a fantastic filmmaker.